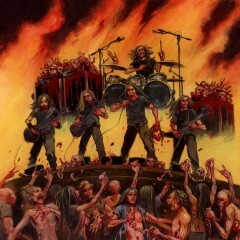 Pre-order the new release from Cannibal Corpse “Dead Human Collection: 25 Years of Death Metal” . 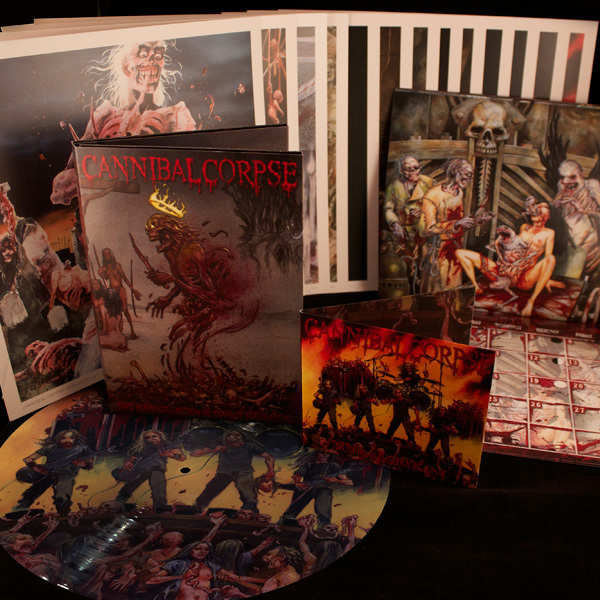 The box contains: all 12 full length studio albums in a 12 CD foldout case with new artwork, “Torturing and Eviscerating LIVE” on CD and LP Picture Disc recorded in Tampa, FL 2010 / Milwaukee, WI 2012, PLUS: NEW EXCLUSIVE images by VINCE LOCKE, 12″ X 12″ graphic prints of all 13 original album covers, and a 2013 Cannibal Corpse Calendar. I created two new paintings for the box set. A large painting for a four panel fold-out CD folder, and a painting for a picture disc of live music. You can check out the new art in my Porfolio.